I would like to thank all mentors/coaches and participants for coming. All credits go to you for the pleasant atmosphere of the meeting. Hope to see you soon. More photos in the event gallery. Join us at AGH University campus for three day event 26-28 October 2012. 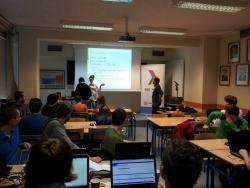 Hackathon is when a group of developers code together. We invite you to take your friends, form teams and code with us. Learn new stuff, compete with other teams, win prizes, meet new people and have some geek fun. We will be integrating Orion with Google technologies like Google Drive using Orion plugins. No knowledge of Orion and Google technologies is required, there will be a technical introduction. All you should know is a little of Java Script. Please take your own device (laptop or tablet) for programming that has WiFi connection and a modern browser. The event is free of charge, but you need to sign up at eventbrite. 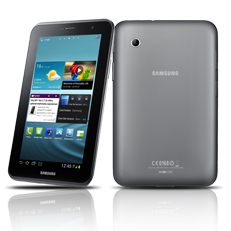 The winning team will get GALAXY Tab 2 7.0 (WiFi) tablets. Technical books for teams taking second and third place. This page was last modified 04:08, 30 April 2014 by Matthias Mailänder. Based on work by Szymon Brandys, Malgorzata Janczarska and Tomasz Zarna and others.